To the North of Bordeaux’s City Center, the historic Chartrons district has become a very dynamic residential area. This neighbourhood has become a place unto it’s self, with the trendy bars, restaurant and antique shops providing an animated backdrop. There are charming apartments with old-fashioned trimmings. There are also, stone buildings and fully renovated duplex apartments / lofts make up the majority of the accommodation to be found here. You will also find large public gardens and urban areas, residential streets and shopping avenues. The district of Chartrons offers a very pleasant living environment. Within walking distance you’ll find everything you need, from shopping, eateries, green spaces and schools. The area is well served by the tram, with the Tram Line B running the entire length of the quays, at the base of the quarter. To the East of the neighbourhood, you’ll find larger and more recent buildings, some that have been completely renovated. 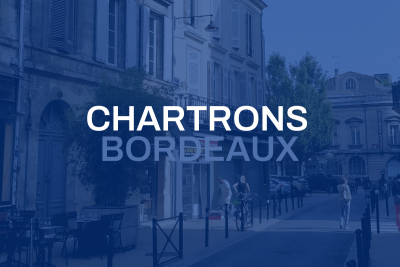 The district of the Chartrons use to be the heart of the wine merchants trade. However, today it provides a great option for city life just outside the centre.